Chalmers Marine are suppliers of Martyr anodes, Tecnoseal anodes, metric and imperial high spec CMP anchor chain, and general purpose chain. We stock the largest range of marine anodes in the South Pacific region, including zinc, aluminium and magnesium anodes. To enquire about or order any of our products, please go to our Contact Us page. 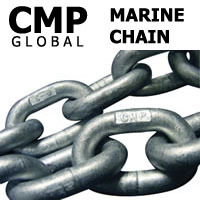 CMP Global Marine Chain Exceeds NACM, RR-C-271D Specifications. Engineered in Canada. Proof Tested. A low carbon steel chain specifically designed for anchoring applications. Hot dip galvanized short link chain, calibrated to latest DIN766 standard. Each link is calibrated to ensure proper fit for most metric windlasses. A low carbon steel chain specifically manufactured to Australian Standard AS2321-2006. Used for anchoring and mooring applications, Grade L calibrated short-link design ensures proper fit for most Australian windlasses. Hot dip galvanized for the best protection against corrosion and abrasion. Martyr™ is the world’s leading manufacturer and supplier of die cast zinc, aluminum, and magnesium sacrificial anodes, which are sold worldwide. Manufactured to US MIL-A-18001 specification. Martyr™ Anodes provide low cost cathodic protection of ocean-going vessels, structures and equipment constructed of iron, steel, aluminum, magnesium, and other metals. It offers 3 alloys for all water environments for pleasurecraft and commercial. Anodes are inexpensive which means it is important to protect your boat with a quality product. 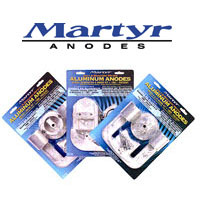 Martyr anodes are pressure diecast and manufactured to strict quality standards through an ISO 9001 Quality Management System. In addition, each alloy is guaranteed to be manufactured to the latest US Military Alloy Specification and is chemically tested regularly in our in-house labs to ensure consistency. Poorly manufactured anodes may contain high levels of impurities such as iron, which will leave your investment unprotected. Click Here to go to the Martyr website for full product specifications. What causes errosion of metal immersed in water? Any vessel moored or operating in fresh, salt or brackish water is at risk from corrosion. Galvanic corrosuion is caused by a voltage difference between dissimilar metals in an electrolyte (any water that is not 100% pure can act as an electrolyte). Corrosion on Steel & Aluminum vessels can be identified as either areas of localized pitting to the hull plate, rudders, bilge keels etc. or less obviously in the form of general wastage of the hull plating often occurring below the paint coating. General wastage of the steel can be just as critical, weakening the hull and necessitating expensive re-plating. Corrosion on Aluminum vessels is also generally in the form of localized pitting to the hull plate, rudders, and bilge keels and particularly in way of weld seam. On wood and GRP vessels the areas of concern are principally the propellers, shafts, shaft brackets, stern tubes and rudders. The effects of corrosion can vary from pitting of propellers and shafts to the decomposition of the alloy of propeller. The failure of something as small and inexpensive as a split pin can result in the loss of the propeller. Stray current corrosion is the action of leaking electrical current as the result of a fault in the ships DC electrical system or a poorly designed system. Shore power AC supply is often blamed for corrosion on a vessel. This in fact is highly unlikely as the shore power supply is AC. In most cases any corrosion related to a shore power connection will be caused by a common connection between the vessel, shore and other vessels, provided by the shore power earth wire. There are solutions available to all the above problems. Solutions to galvanic corrosion problems can be provided by Chalmers Marine. It is important to note that too much protection can be as harmfull as too little. Testing services and solutions to galvanic corrosion, stray current corrosion, and shore power related problems can be provided by other specialists that are available by contacting us, or by contacting Barry Clark Marine. 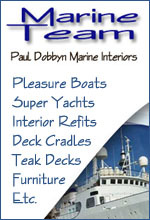 Specializing in Super Yachts, commercial vessels, barges, tugs, dredges, Pleasure Boats, boat marinas, salt water, fresh water, brackish water. Copyright © Chalmers Marine. All Rights Reserved.